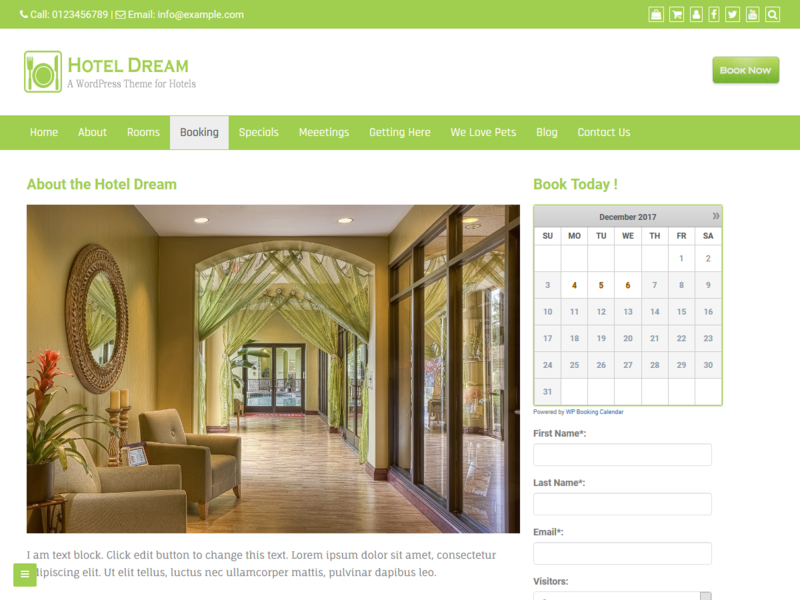 A responsive WordPress theme for hotel websites and tested with Booking Calendar plugin. it can be use for display informations and online booking services such as hotel, room reservation, restaurant, apartment, house, eatery, food joint, cuisine, hospitality business, recipe, cafe, lodge, resorts, breakfasts, guest house and others. it is mobile friendly, responsive and SEO friendly theme.